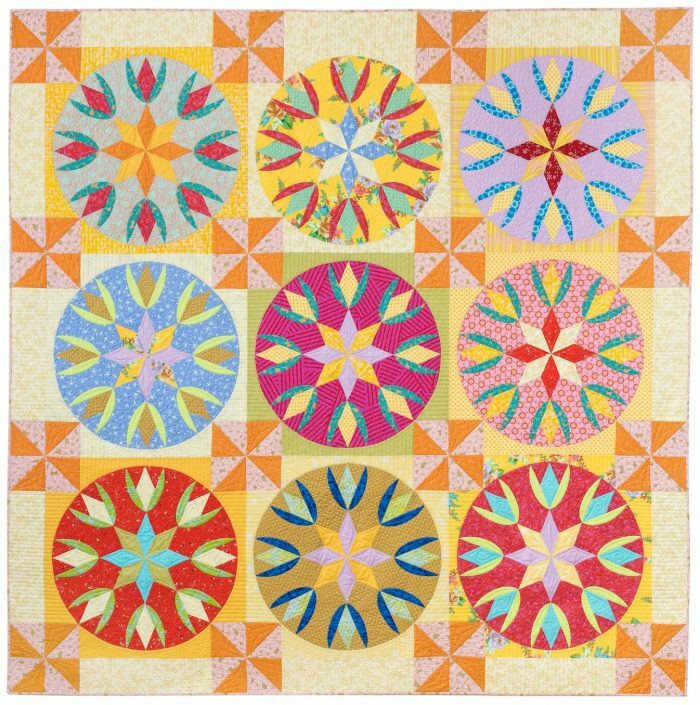 Make a big, beautiful statement with vintage-inspired circular tulip blocks. Build a colorful, fat-quarter friendly quilt one block at a time! We will learn tips for successful block construction based on my acrylic template set. Master Y-seams and curved piecing; build confidence in color and design all through PLAY!